Our Charcoal and Pearl sheet mask treatment is helps to detoxify and exfoliate your skin of dirt, oils and impurities. Charcoal and Pearl help to reduce the appearance of sunspots and hyperpigmentation, improving skins firmness, reducing signs of wrinkles and blemishes. 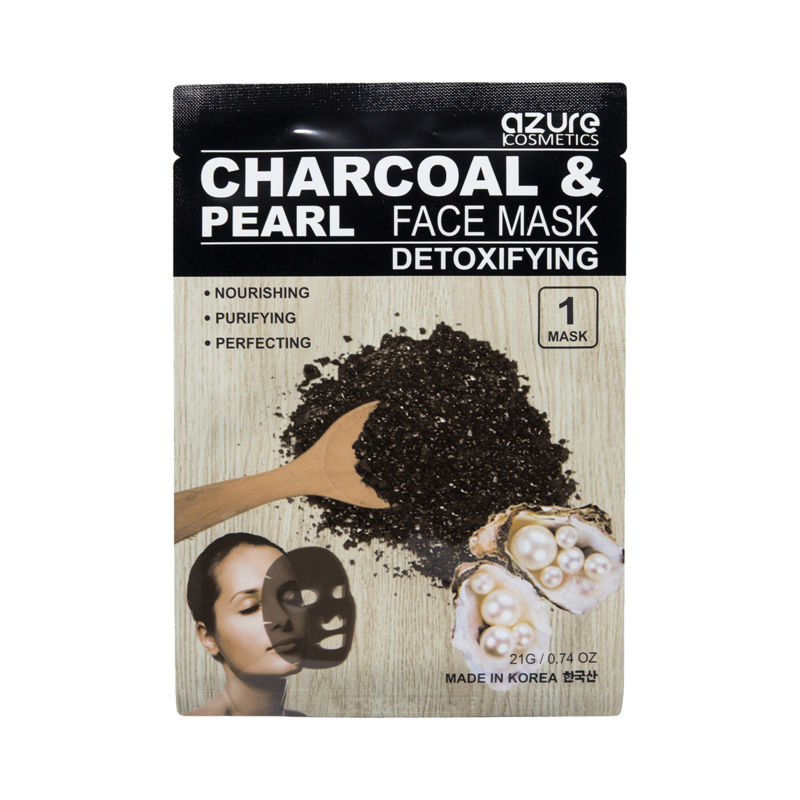 - Moisturizing cotton sheet masks with real Charcoal and Pearl. - Helps to nourish, purify and perfect your skin, reducing the appearance of fines lines and wrinkles. - Hypoallergenic, no fillers, harmful fragrances, dyes or parabens.